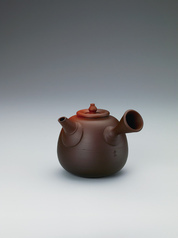 Teapot of katatsuki type with kiln mutation effects. 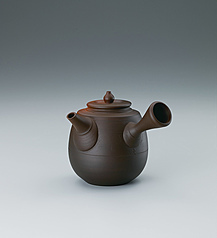 Teapot of katatsuki style with kiln mutation effects. 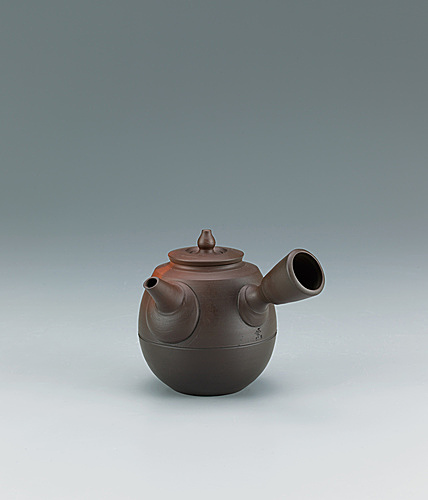 Teapot with kiln mutation effect and charcoal finish.